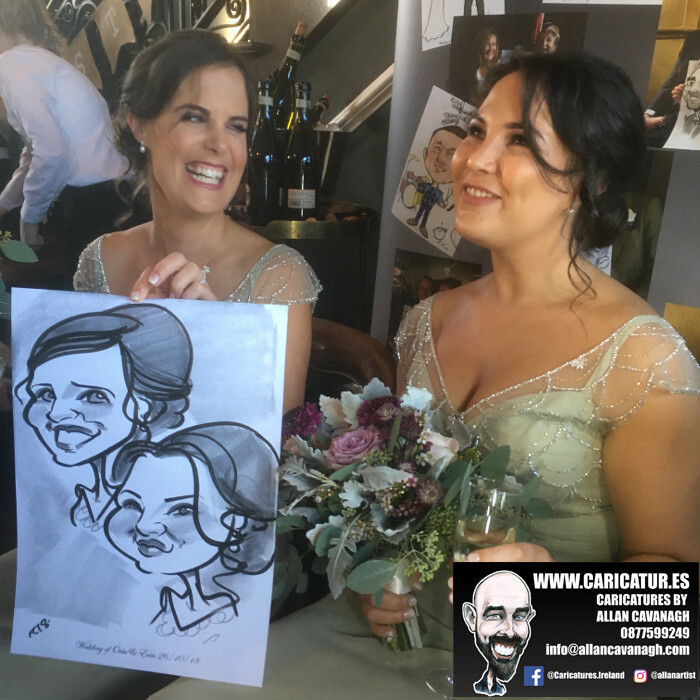 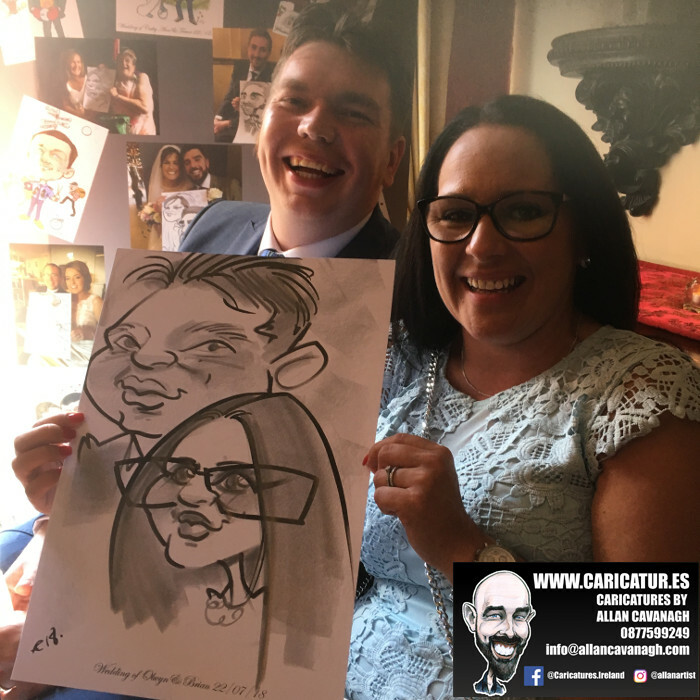 Wedding Invitation Caricature Art: this caricature appeared on the wedding invitations for this couple. 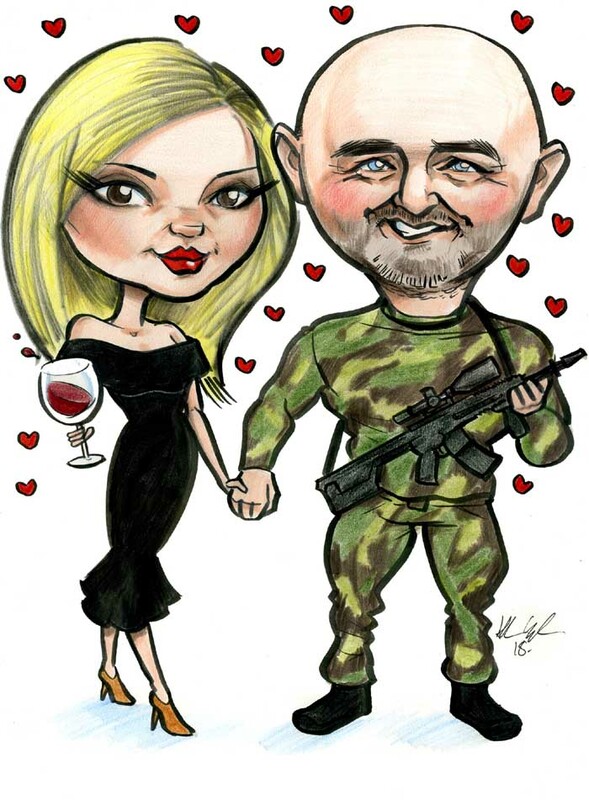 The groom-to-be is a member of the Irish Defence Forces hence the attire and prop! 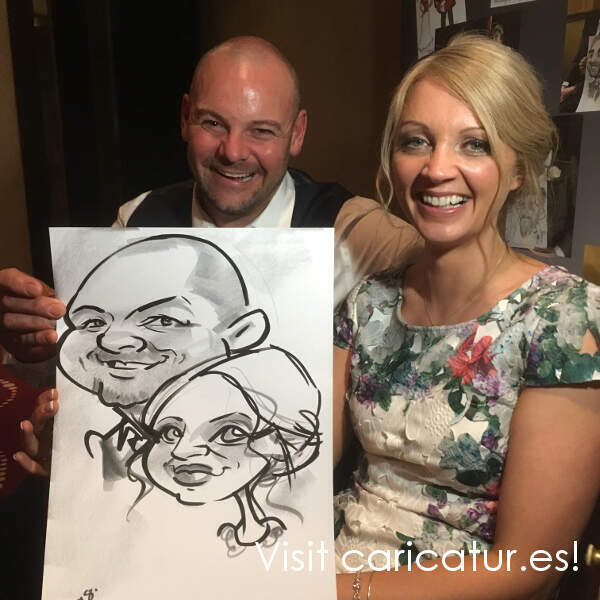 If you’re interested in caricature art for your wedding invitations please drop me a line! 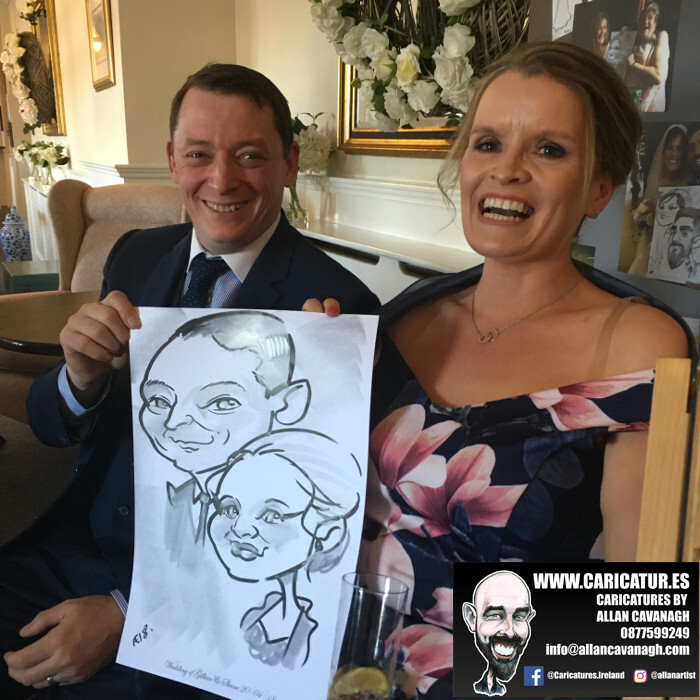 Sheraton Athlone Wedding Caricatures: here’s a selection of my live wedding caricatures from a recent wedding in the Sheraton Hotel Athlone.